Volatility plagued the Asia Pacific Capesize market in the third quarter on the back of finicky weather and China’s hunger for better quality long-haul seaborne iron ore. The second quarter was also mired in volatility with typhoons delaying vessels in North Asia, causing tonnage tightness in the Atlantic market. While the quarter started off on a muted note, Capesize freight rates soared towards mid-June, even hitting the highest level so far this year but quickly retreated on weaker fundamentals. The Capesize freight rate to move iron ore from Port Hedland in Western Australia to Qingdao was assessed at its peak at $10.10/wmt with the corresponding time charter equivalent at 26,458/d on July 31, 2018. It dropped to its lowest level in the quarter at $7.20/wmt (TCE $11,635/d) on September 26. The key Tubarao-to-Qingdao route was assessed at the highest level in the quarter at $24.85/wmt (TCE $25,929/d) on August 6 and the lowest level at $20/wmt (TCE $13,857/d) on September 17. “[The Capesize market] had gone up too much compared to [the Supramax and Panamax markets], so almost all the cargoes from the US East Coast and East Coast Canada have been covered by [these smaller sizes] for the last couple of weeks,” a ship-operator source said. This created an oversupply of tonnage in the Atlantic Basin, pushing down freight rates. Sparse cargo volumes and low activity as well as weaker freight weakened the market in September. “Sentiment is weak and enthusiasm for Q4 is beginning to dull, causing many to re-evaluate their expectations for the rest of the year,” a Capesize shipbroker said. While iron ore exports from Brazil were high in Q3 with an estimated increase of 10% year on year, some sources said that the weakness in the Capesize market was likely due to a drop in spot market fixtures following the delivery of four new Valemaxes in Q3. Three more new Valemaxes are slated for arrival in Brazil around October-November. The ton-mile demand situation, however, still looked positive with Chinese steel mills focusing on efficiency and cutting pollution through the use of iron ore with low alumina content, sources said. The newly evolving seaborne coal trade from US East Coast to India and a slower fleet growth this year were also helping keep the demand high. The net delivery in deadweight terms have dropped 12% during the January-August period compared with the same period last year, shipowner GoodBulk said in its Q2 earnings report. “There’s no doubt Q4 will be strong, but I doubt it will be as strong as many people [expect],” a chartering source with a mining company said. Panamax freight rates in the Asia Pacific hit the highest level so far this year in Q3. Looking forward, the consensus is for coal demand within the Pacific to remain strong on the back of lower stocks at Indian power plants and the usual pre-winter restocking expected in China. 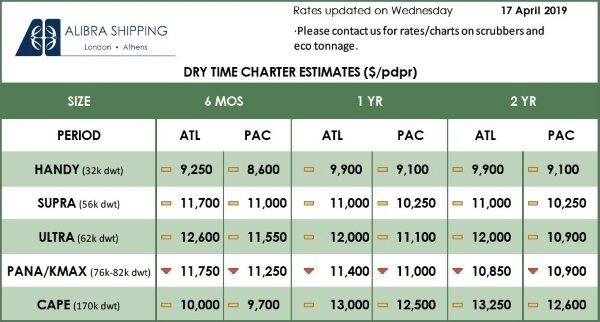 While higher bunker prices were pushing up freight rates, the TCE returns on ships opening in the region also increased during the quarter, hitting levels close to those last seen in March. The spike in the rates was mostly due to steady coal demand in the Pacific and a busy east coast South America grain market, which was pulling vessels from the Indian Ocean. Bad weather also impacted the Panamax market. “We have seen twice as many typhoons this year as usual,” a shipping market source said, adding that replacement fixtures were common. Except for H1 August, Supramax rates in the Asia Pacific held steady in Q3. A majority of market sources expect this trend to continue with period rates not much changed from the previous quarter. 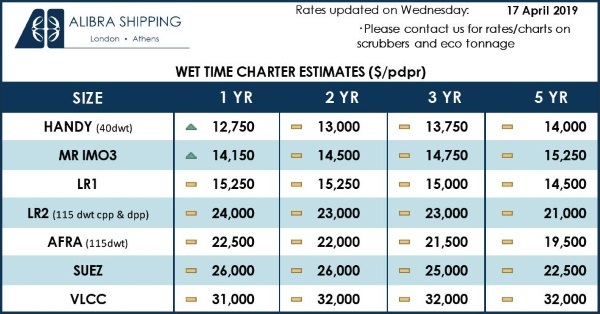 Shipowners’ preferences were also changing in the Supramax market. “Unlike before, North China in the long run is not where owners are comfortable to position their ships as Chinese exports [of steel] have stayed rather low compared with past few years,” a ship-operator source said, adding that the overall increase in time charter rates had slowed down this year. The rising demand from limestone and gypsum cargoes due to the increase in Indian steel production offered support to the Supramax market in the Indian Ocean. Market participants are unclear about whether the newly launched deeper draft berth at Mina Saqr — Persian Gulf’s main port for limestone loading — that can handle larger gearless ships will impact the Supramax segment. The logistical bottlenecks faced by coal importers at Pakistan’s Port Qasim after unloading at Karachi was banned from July, affected the Supramax market negatively. Congestion at Port Qasim is expected to increase demurrage bills, which in turn, will deter traders from taking stock-and-sale positions, market sources said.